When surveying the contemporary business improvement landscape, it can be difficult to choose which process improvement method (or methods) fit best for what you are trying to achieve. As there are many competing methodologies out there, I have included three of the most respected and popular (Six Sigma, Kaizen and Lean) improvement methodologies to share with you. Essentially, Kaizen is a belief that everything can be changed and everything can be more efficient. Creating a Kaizen culture entails using personal ingenuity to identify and solve problems in an organisation. The strategy aims to collect knowledge from all employees within an organisation to accomplish incremental improvements on a regular basis. What matters is not only the individual, but rather the collective whose collated achievements will be greater. One of the most prominent Japanese words associated with Kaizen is 'Muda'. 'Muda' means waste, and the Kaizen philosophy aims at cutting business waste through improving quality, increasing efficiency, reducing overproduction and unnecessary activities. Ultimately, this will result in saving both money and time. Kaizen's core philosophy implies that involving everyone in making decisions will facilitate innovation and improvement. 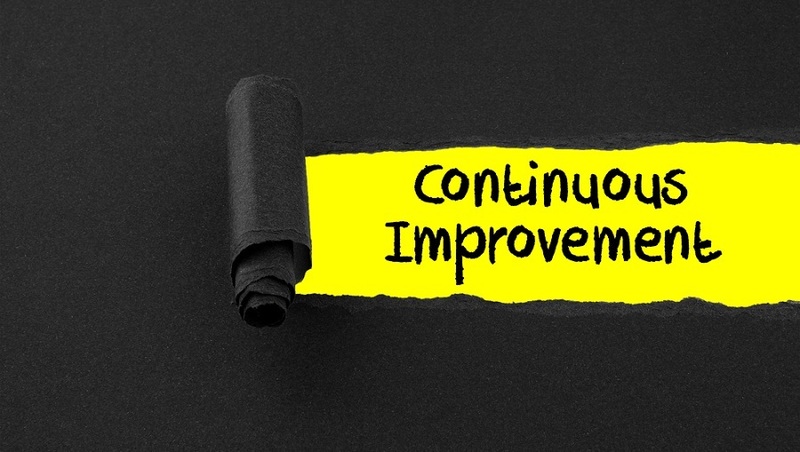 In short, this continuous improvement strategy can be a very powerful support for any improvement project, for as long as the majority of employees are on board. These two project methodologies are based on Deming's Plan-Do-Check-Act cycle (as previously mentioned) which has become the foundation for continuous quality improvement. Which Process Improvement Methodology Is Best For Your Business? All three have their part to play in developing an effective continuous improvement model and all three can be used in conjunction with one another depending on the specific problem you need to solve. Process mapping is often seen as one of the integral practical implementations of a continual improvement strategy, which is why I created a process mapping checklist - to help organisations that are looking to apply improvement methodologies, but don't know exactly how to get started.